. Chromebooks are gaining their ground lately. They are best known for their mobility and ease of use. The device comes with thrilling specs, and the price is quite friendly. From design to specifications, the Chromebook device offers the best deal in the market. The device has features that will leave you wondering why everyone should not go for it. While its performance is within the specs of a mini-laptop, the price against its capacity is a real deal. This Samsung xe500c13 review is focused on the features that will blow your mind. It comes with Chrome operating system, unlike the mainstream Windows and Mac OS X. This is a device for the curious guys who are looking for something out of the ordinary. It is made for you to hop online and built for mobility with an all-day battery life. One of the most lauded aspects of this laptop is the affordable price tag. The slim and light device offer impeccable performance. Your day will go without a hitch thanks to its day-long battery life. The physical keyboard comes in handy. Nothing looks greater than this clamshell design device. Running on Chrome operating system, the Samsung Chromebook 3 4GB RAM device is built for performance and online lifestyle. It is highly portable thanks to its design and lightweight. It has an integrated keyboard with much easier content-creation functionalities. This is the real deal from Google: its affordability makes it an ideal device! From the design angle, Samsung xe500c13 review indicates the best you can find in the market. This laptop is designed to bring out modesty and class. It is constructed with lightweight plastic for the ultraportable appeal. Samsung Chromebook 3 is sturdy and spill-resistant. This makes it the best deal for writers and students. Think of the MacBook Air or the Microsoft Surface devices, the resolution is just cool. 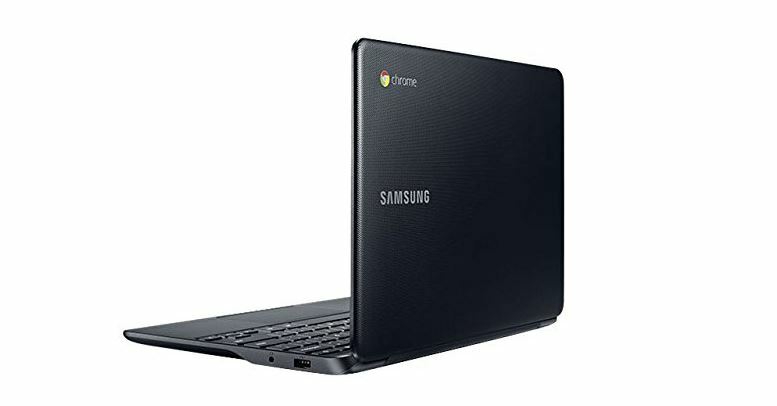 Samsung Chromebook 3 comes in a sizeable 11.6-inch display with a resolution of 1366 by 768. While side-by-side multitasking might seem limited, Chrome is one of the best when it comes to tabs: you are still sorted. The Chromebook has got its way of capturing the world. It has positioned itself in-between the portable and inexpensive laptops. Its slim size of 0.7 inches will shock you considering the hardware it packs. It weighs only 2.5 pounds thus making it one of the most portable devices in the market. This does not compromise the screen and the keyboard features albeit. If you are out working in a free environment, you can be sure not to be hemmed at all. Regardless of the slim Chromebook 3 lacking cooling fans, the device never gets heated at all. If you are a web-freak, this is the machine you need. Samsung Google Chromebook 3 $GB RAM comes with a full-size QWERTY keyboard. For optimal web experience, the keyboard has been tweaked to deliver an imitable Chrome experience. The ordinary keyboard features have been replaced with advanced web features like dedicated search button in place for caps lock; Chrome-specific function keys in place for the usual F1-F12 buttons; the delete button is no longer maintained here and its role taken by the Backspace key: together with the Alt key, your Chromebook’s Backspace does both roles. There is no usual Apple or Windows key. The trackpad comes with a blank face, single-piece, and no right-left click buttons. It has one and two-finger gesture support to sort you. This Samsung xe500c13 review highlights the most defining aspect: hardware affordability, the unique keyboard, and the Chrome OS. This device is created for web browsing. Loving the Chrome Web-browser experience on other platforms? Then this Google’s web-centric OS device will blow you away! It comes with web-apps that are built-in with unrivaled offline functionalities. From the lower left corner, there is a set of dedicated icons. They include Google search, Gmail, YouTube, and Google Drive. It has basic applications such as the Chrome file manager, calendar, and calculator among others. Your peripheral device management experience is unparalleled: once an SD or USB flash drive is plugged in, the content pops up making it easy for you to select the right files. Photos, files, and documents are opened using an auto-detected file opener. The ports selection is robust. It comes with an HDMI port, one USB 3.0 and a USB 2.0 port, headphone and microphone jack, camera, and card reader. It has built-in 802.11ac WLAN, Bluetooth and LAN connections. Its internal memory is 16GB since it is cloud-based. The 1.60 GHz Intel Celeron N3050 processor can be boosted up to 2.16 GHz. 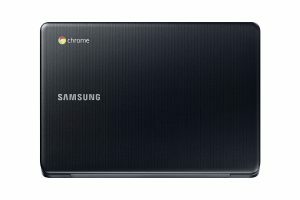 The Samsung Chromebook 3 4GB RAM makes it a light OS thus fast navigation between tabs and pages. The above features make booting super-fast within less than 10 seconds. This device has undeniable resilience and speed to its maximum use. This makes it the most reliable laptop to browse on every day. Its long battery life makes it reliable, portable and can be used while out in free space. 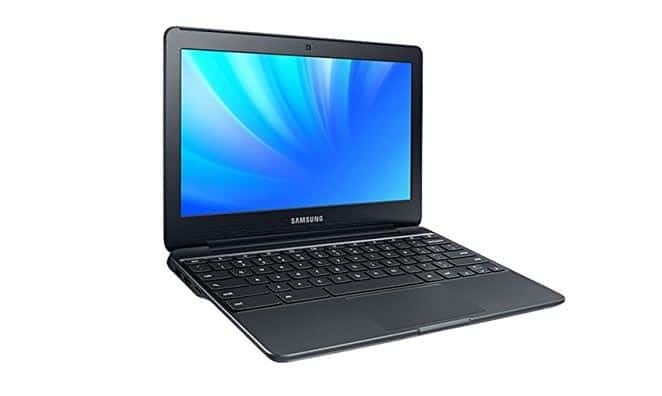 The Samsung xe500c13 review outlines and unrivaled ultrabook that has performance backed with modern design features. The interfaces are made for your browsing needs. This is a fancy yet highly dependable and affordable Chromebook that goes in line with your expenditure.